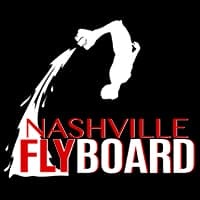 We’ve Got The Perfect FlyBoarding Haven Inside Nashville Shores, & Cap’n Dave’s! 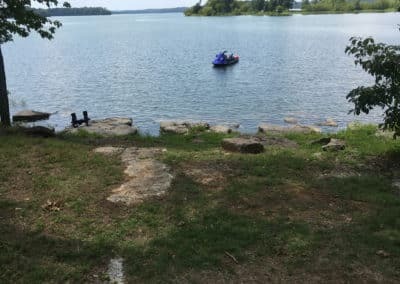 We’ve got a Private Lakeside Location at Percy Priest Lake, Perfect for FlyBoarding, and Events of all types! 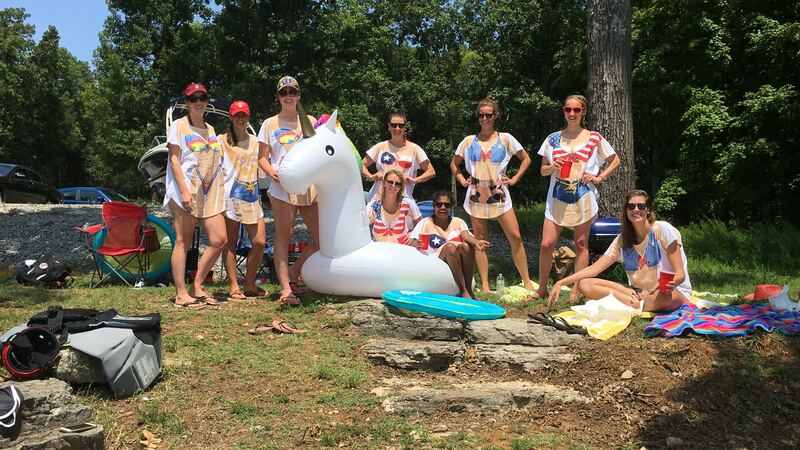 Host Bachelor Parties, Birthdays, Corporate Meetings, Team Building events, and much more! 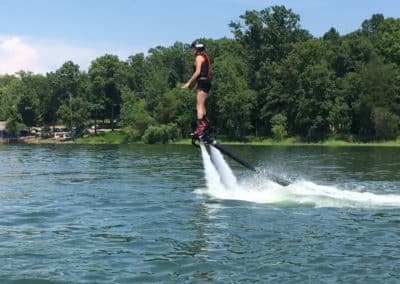 You don’t have to rent a boat to spend a fun day out on the lake, and the rest of your group will be entertained while the others learn to FlyBoard. It’s the perfect place for a day of FlyBoarding, and hanging on the lake! 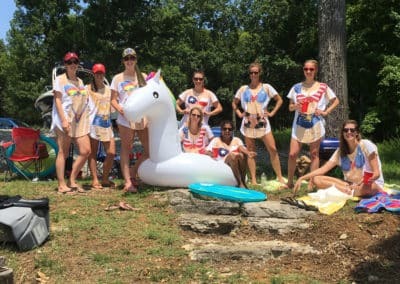 We’ll cater to you and your group, and provide a fun, private area on Percy Priest lake to spend the day FlyBoarding, swimming, and hanging out on our 8′ x 6′ party islands! Bring your own food & drinks, we’ll provide the grill. The Lakeside area is private inside Nashville Shores Water Park. It’s far enough away from the main water park that your group won’t be disturbed. 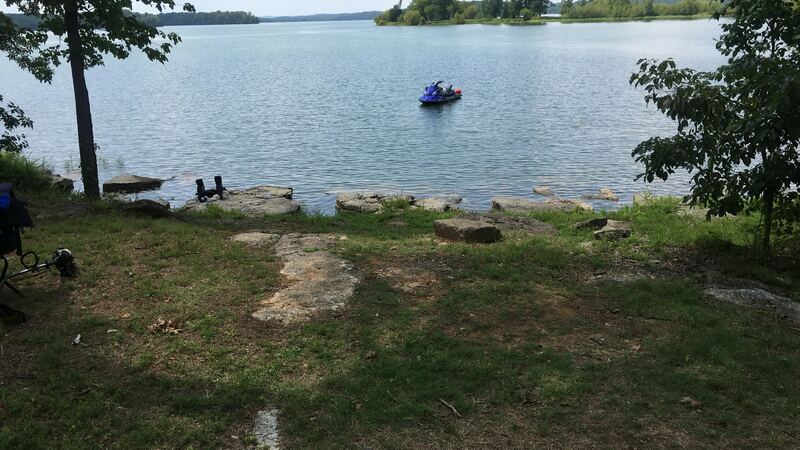 The shoreline has large rocks that lead you out to the lake, where you can walk or swim out to our rafts. 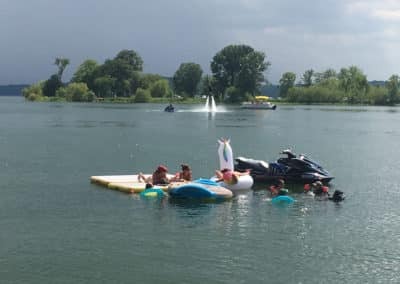 Up the hill, we’ve got a shady area, and a grill which provides a comfortable setting for your group when they don’t want to be in the water. You’ll also have the option to rent Jet Skis, SUPs, Kayaks, and more right next door at Cap’n Dave’s Water Sports. If you don’t want to rent a boat for your day of FlyBoarding and hanging on the lake, you can’t go wrong with our new setup! We provide the location, two 8′ x 6′ floating islands, a grill, and all the equipment for FlyBoarding up to two people at once. 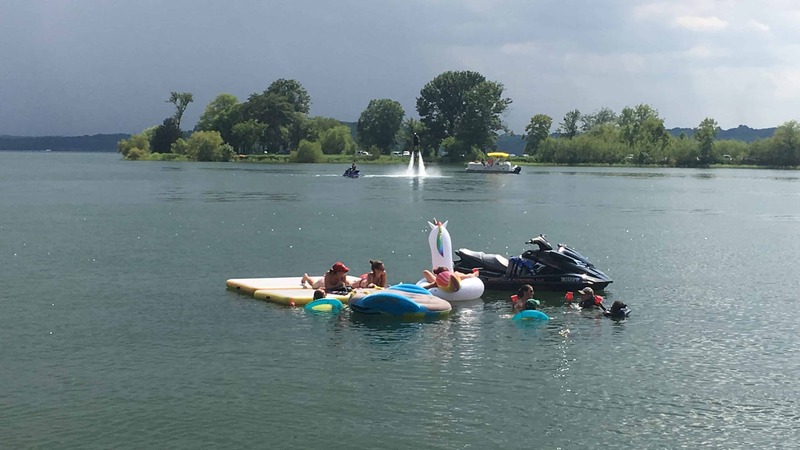 Bring your group to our location, and you’ll be set for an awesome day of FlyBoarding, and relaxing on the lake!